***Disclaimer: This post contains affiliate links. This just means I get a small referral rate paid out to be for each item purchased using a link (not all the links.) I also promise to only endorse products I fully believe in and any comments related to the products are 100% my own, unless otherwise stated. *** Getting ready to write the post for today I noticed that this will have been the 10oth post I have a published. It is a small milestone, but a milestone none the less. I just thought I would share that observation, before sharing today’s craft. Using your marker draw a heart on one of the self-laminating sheets. Peel off top strip of the back off the self laminating sheets and using painter’s tape secure the sheet to the table there. Finish peeling off the rest of the backing and secure at the bottom edge using more painter’s tape. The child can stick the tissue paper anywhere on the self-laminating sheet, but the only part you will need will be the part inside the heart. Let them place tissue paper till their hearts are content. When they are finished, peel the bottom strip of painter’s tape off. Peel the backing of a second self-laminating sheet, and gently secure it to the back of the one your child has been working on. Cut the heart shape out. Have fun and enjoy the beautiful colors. Now in celebration of 100 posts I would like to offer a giveaway. 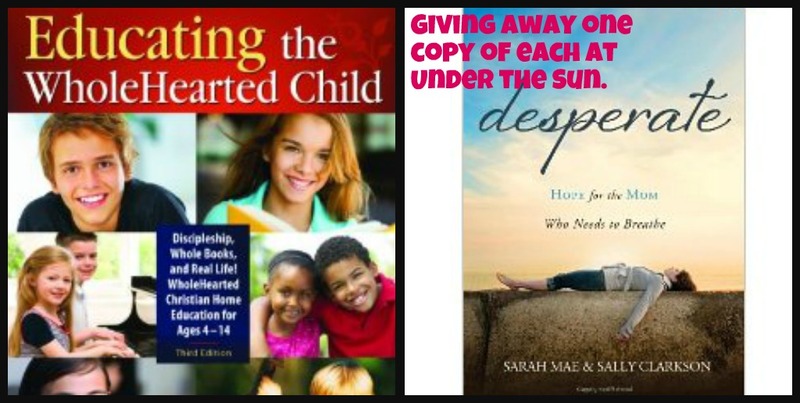 In this giveaway I will be offering two books and . Desperate is a joint effort by Sally Clarkson and Sarah Mae each lady has a way of writing that speaks to the heart and encourages the soul. In their book Desperate they are seeking to encourage the desperate mom, the one who feels alone, who is stressed to her max, and just needing to feel a little less alone. It is a book that speaks to the heart of every mother whether you are a brand new mother or a veteran mom of many, because at times we all need a breathe of fresh air and encouragement. 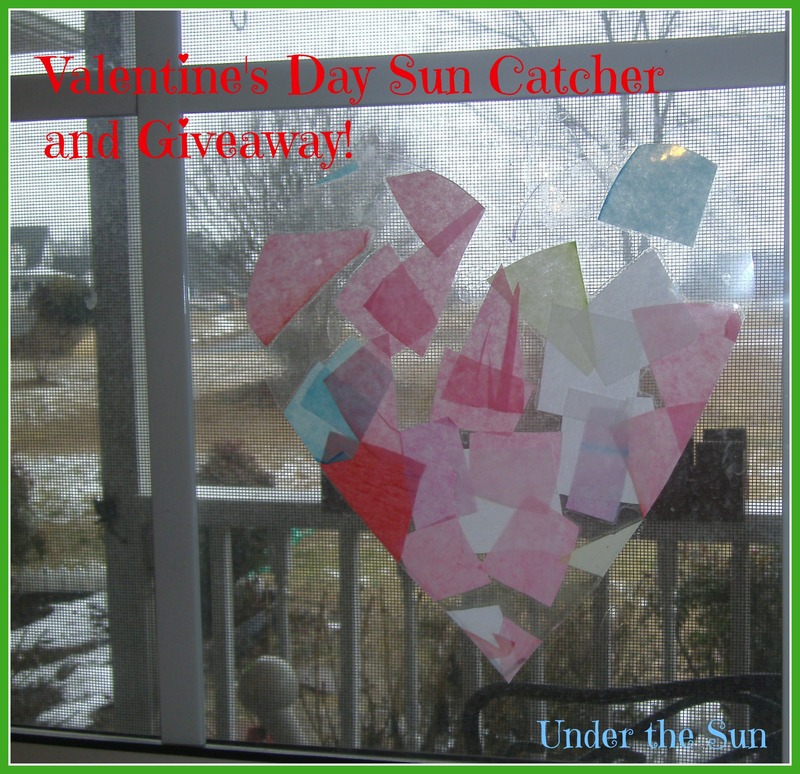 This entry was posted in Children, Homeschool and tagged Children, craft, homeschool, Kids on February 12, 2014 by Sara R.